Please select the required size. Blouse by MAYFAIR by PETER HAHN with long sleeves. This pull-on piece is made of high-quality, brilliantly coloured woven viscose. 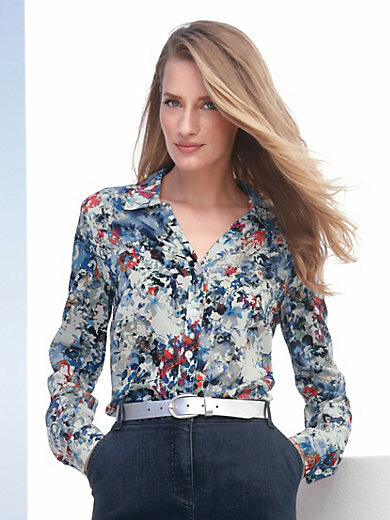 The summery print is designed to make each blouse unique. Casual style with shirt collar, V-neck and slightly rounded hem. 100% viscose. Length approx. 27ins. The blouse is machine washable.